OK, I Cancelled My Cable. What Alternatives Are Available? We’re glad you asked! The options are just about endless. We rounded up a bunch to get you started. And good news! Most of these providers offer free trials, so be sure to do a test run before you sign up. Here are your options divided into three categories: streaming and on-demand services, live subscription services, and al a carte offerings. Streaming services have come a long way. You can watch what you want, when you want with plenty of shows and movies to choose from. Price: $7.99 per month for the basic package and $13.99 per month for the premium package. Features: Full seasons of completed series from many networks, tons of films and documentaries, and award-winning original shows like Stranger Things, Master of None and The Crown. Good to Know: Netflix allows you to download select shows and movies for offline viewing—a treat for long road trips or plane rides. Price: $5.99 limited-time offer for one year. Price increases to $7.99 after one year with the option to pay $4.00 extra each month for commercial-free viewing. Features: Thousands of movies and shows—with some episodes posting the day after they air on cable TV—as well as original new shows like this year’s big hit, The Handmaid’s Tale. Good to Know: Some shows on Hulu are offered on a rolling basis, meaning you can only watch the five most recent episodes. Price: $33 for three months or $99 for one year. Features: Thousands of movies and TV shows including the much-loved kid’s show, Daniel Tiger, and to the relief of Top Gear fans everywhere, The Grand Tour. Good to Know: With Amazon Prime you’re also eligible for two-day shipping from Amazon.com, unlimited photo storage, access to millions of songs and curated kindle books—all for free! Want a cable alternative that looks pretty darn similar to . . . well . . . cable? 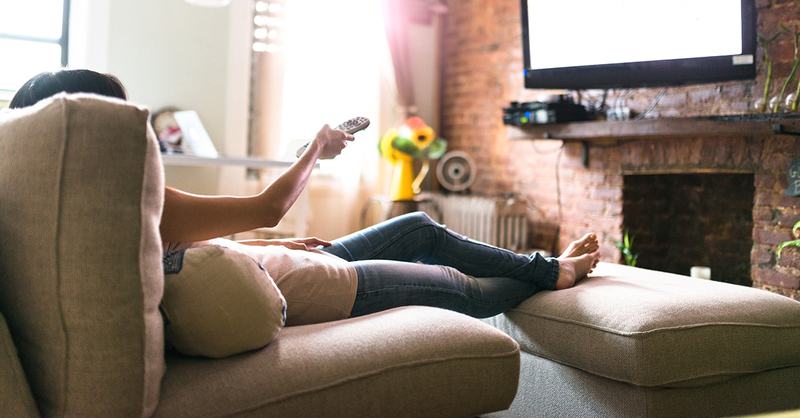 Live subscription services offer you the experience of TV often at a fraction of the cost. You can find these in both multi-channel and single-channel options. More than 40 networks to choose from like ABC, Disney, CBS, ESPN and NBC. Unlimited storage space for saving recorded shows. Up to six accounts per home, each with individual passcodes and personal DVR. In addition to live TV, some channels offer movies and shows on demand. Access to a regular Hulu on-demand account. Live streaming of more than 50 popular channels covering sports, news, and local TV, as well as family favorites like the Food Network, HGTV and Disney Junior. Price: $20 per month for Sling Orange, $25 per month for Sling Blue, or $40 per month for both. Unique channels come with Sling Orange and Sling Blue packages: Sling Orange offers ESPN, ESPN 2 and ESPN 3 while Sling Blue offers Fox Sports and the NFL Network. Add-ons priced at $5 per category, like the Lifestyle Extra, Kids Extra or Sports Extra. Price: $35 per month for 60 channels, $50 per month for 80 channels, $60 per month for 100 channels, and $70 per month for 120 channels. No installation or dish required. Option to add channels like HBO, Cinemax or Showtime for a fee. Price: $19.99 per month for two months, $39.99 per month after two months. More than 70 channels geared toward sports fans. Live coverage of NFL, NHL, NBA, MLB and college games. Thirty hours of storage space for recording games you’ll miss, and three days to look back on games you missed and forgot to record. Price: $39.99 per month for TV; $44.99 per month for sports and TV; $54.99 per month for movies, sport and TV; $74.99 per month for movies, sports and premiums. Lots of options for tailoring your TV-watching time. Basic access includes channels like Disney and ESPN. “Ultra” access includes channels like Showtime and HBO. Includes: Unlimited access to every episode of every HBO show ever made. Get ready to binge on old favorites like Curb Your Enthusiasm or The Wire and stay caught up with current hits like Game of Thrones. Price: $10.99 per month or $109.90 per year. Includes: Plenty of shows—from original shows (think Homeland or Dexter) to movies and even live boxing events. Includes: Unlimited streaming and downloads of classic and Starz original shows and movies—all at an unbeatable price. Price: $5.99 per month for limited commercials or $9.99 per month for commercial free. Includes: Live local TV, thousands of episodes on-demand, and access to live NFL games. If you really want to cut the fat from your TV and get down to only the stuff you actually care to watch, you can buy individual seasons or episodes of your favorite shows from Amazon or iTunes. For example, you can snag an episode of Fargo Season 3 from Amazon for just $1.99 or buy the whole season for $16.99. The crowd pleaser (and tear inducer) This is Us is available on iTunes for $1.99 per episode or $29.99 for the entire second season. Can I Watch Any Shows For Free (or Nearly Free) Without Cable? You can get your TV fix on the cheap with a little savvy internet sleuthing which we already did for you. You’re welcome. 1. Buy an antenna. Kick it old school with bunny ears made for today’s digital world. Visit antennaweb.org to see which channels you can pick up in your hometown. 2. Download an app. Lots of channels like The CW, CBS and PBS Kids provide apps with recent episodes for free! Do a quick search for your favorite networks. 3. Visit your local library. Check out classic movies and even full seasons of popular shows with a scan of your (totally free) library card. Now That I’m Living the No-Cable Life, What Devices Should I Consider? When shopping for a streaming device, keep yourself in mind. Yes, you! The best deal out there depends on the needs of your family. Do a little research to make your decision easier. What Could I Do With All the Money I Saved by Cutting Cable? Finding extra cash in your EveryDollar budget just got way easier. Make the most of this opportunity by putting that money to good use. Maybe you’ll use it to move a little faster through the Baby Steps—pay down debt, save for your emergency fund, pay off the house. Or perhaps you’ll find a way to put that money to better use in the entertainment department. May we suggest planning a regular date with your spouse, taking your kids out for a mini adventure each month, or investing in a hobby. With the EveryDollar app you can easily update your budget from month to month to reflect how you’ll use your cable savings this time around. If you save up all year you might even be able to get away from it all for a vacation. A true break from reality beats any TV show—even the never-been-better shows of our day.